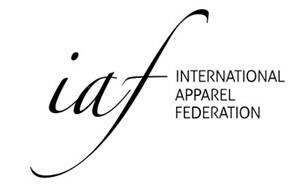 The International Apparel Federation ((IAF) and the International Foundation of Fashion Technology Institutes (IFFTI) will join forces to better connect business and education in the fashion sector. IAF secretary general Han Bekke and IFFTI secretary Commodore Vijay Chaturvedi today signed a memorandum of cooperation in Tokyo where IFFTI is holding its 16th annual conference. ”The IAF-IFFTI link should be a valuable exchange platform for demands from the fashion industry to education and vice versa, helping each other’s members with a clear vision of current and future needs”, Han Bekke said. “The exchange of information should form a part of the solution of major challenges faced by the industry”, he stressed. Vijay Chaturvedi added that “ the linkage of IAF’s and IFFTI’s international networks should potentially provide practical value for all of our members”. IAF’s education committee of representatives from the industry is chaired by Mrs. Souraya Bouwmans, dean of Amsterdam Fashion Institute, who is also member of the Executive Committee of IFFTI. Both institutes agreed to closely work together in IAF’s awards program. IFFTI members will promote the opportunity of participating in the IAF student award to their graduating students. Students will enter the competition with their graduation work in the categories design, product development and branding. The prize will be a half year fully paid internship at a fashion company. Secondly, they will join forces in organising the IAF designer award. IFFTI members will invite their alumni to apply for the award and to nominate one designer not already internationally known but nationally strong, with a maximum of 5 years of professional experience. The winner of the IAF Designer Award is given a fully paid visit to the IAF World Fashion Convention the next year. There the winner can present his or her winning collection on the catwalk to representatives of industry and press.